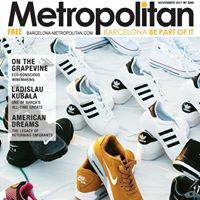 Barcelona Metropolitan’s website receives more than 80,000 visits a month. It’s website is a powerful platform for reaching the English-speaking market. It offers companies a number of ways to increase their visibility. A complete directory of companies in Barcelona. Each entry is written by our team and optimized by Google. It can include photos, videos and plenty of information. Banners are still an effective way to achieve maximum visibility. For more precise targeting, banners can be displayed in specific sections and alongside specific topics. These appeal to readers and to Google. Sponsored articles are an excellent way of showing our readers that your company understands them.